Snack on This: Our Own Pita Chips, in 6 Flavors! The perfect companion to your homemade hummus, tzatziki sauce, or olive tapenade, our very own pita chips are produced locally, in small batches, from original old world family recipes passed down from generation to generation. Bristol’s Own pita chips are thick, artisan-cut pita chips that contain zero preservatives and zero cholesterol. We have six flavors available and all of them are quite delicious in their own right. You simply can’t go wrong with the plan variety, which goes great with just about any dipping sauce. There’s also garlic, lemon herb, sriracha, and cilantro jalapeño, all with robust flavor for any snacking occasion. We even have a dessert variety – cinnamon sugar. The perfectly sweet and crunchy chips taste heavenly broken up over ice cream or used as a crumb topping for a fruit cobbler. 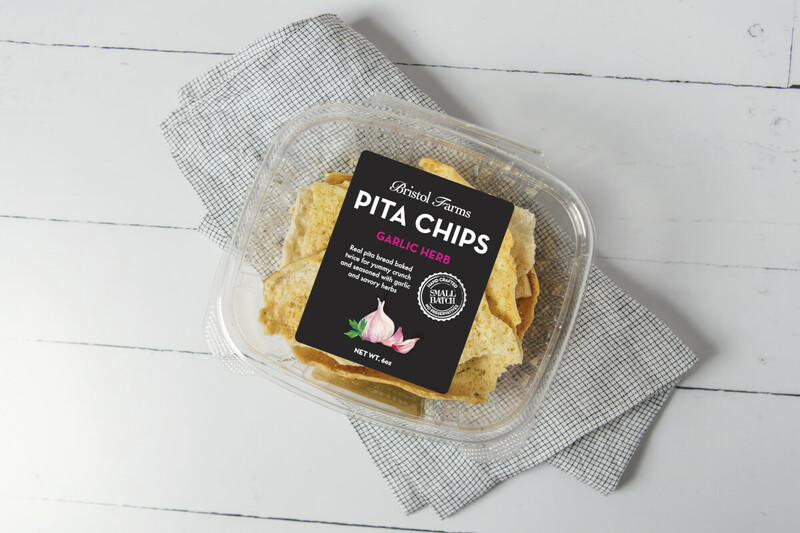 Look for our pita chips in our grocery aisles, in the resealable tub that ensures our pita chips are fresh. That is, if you can resist devouring the entire package at once.